As chairman, CEO and owner of The Innovation Group, which provides a broad range of advisory services across the leisure, entertainment and hospitality sectors, Steve Rittvo has been a source of guidance for the gaming industry for almost 30 years. 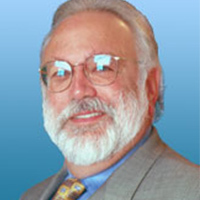 He has contributed recommendations for a number of integrated resorts across six continents and, through The Innovation Group's Innovation Interactive affiliate, has contributed to the production of research into intrastate i-gaming markets in the US, assessing market demand and revenue potential, the possible impact on brick-and-mortar casinos and more. He has spoken at over 100 gaming conferences and co-authored a book on the gaming industry.